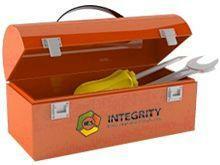 There are two levels to the Integrity Engineering Solutions toolbox. To access either of these levels, you must first apply for free membership status. Once you have that, you may decide to upgrade to the members' level at any time by paying the applicable fee. Please use one of the links below to access the toolbox.